Christopher Jones Comic Art and Illustration Blog » My Prints are Available at Sara Cura for the Holidays! My Prints are Available at Sara Cura for the Holidays! Sara Cura Holiday Fun Store! Sara Cura has my prints! 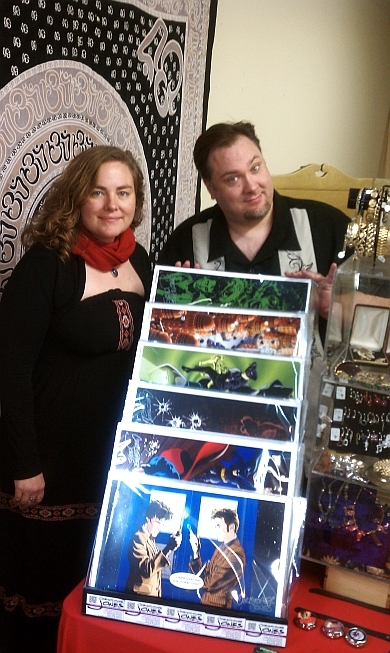 Many of my art prints are now available at the Sara Cura Holiday Fun Store in Calhoun Square! So if you’re local to the Twin Cities in MN, stop in and pick one up! Color prints are all pre-signed and priced at $24. You might recognize Sara Cura as a staple in the dealers’ rooms at CONvergence, DragonCon and many other conventions. She offers gifts, jewelry, Henna workshops, and will be announcing sales and other fun things over the next month. The Sara Cura Holiday Fun Store is open through December 31st! It is located in Calhoun Square. 3001 Hennepin Ave S, Minneapolis, MN. If you’re NOT local to the Twin Cities but still would like to get your hands on one of my prints in time for the holidays, they are also available at my Etsy store. All of my Etsy prints also come signed, and I would be happy to personalize the signature if you wish.